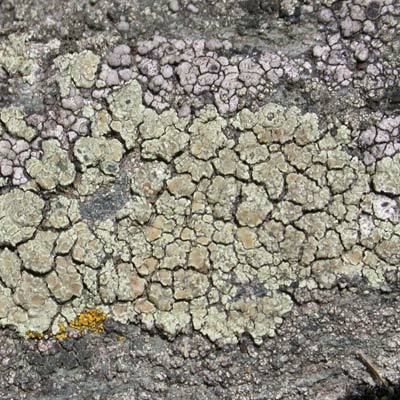 This tiny, though abundant, grey-green crustose lichen grows widely on siliceous rocks and walls. It forms very small (0.5-2.0cm diam.) 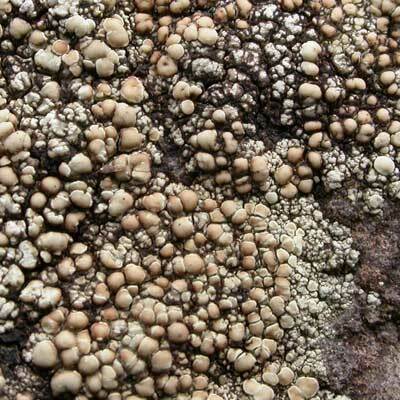 areolate thalli covered with yellow-green to pale brown discs that can coalesce to form larger patches. 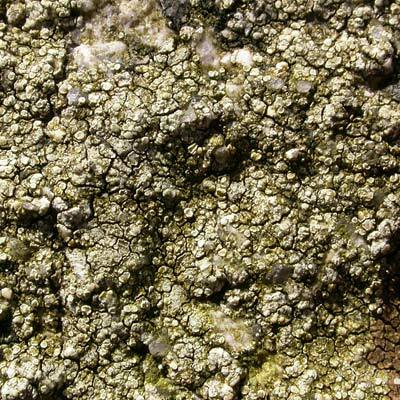 Common: rocks and walls, also on worked timber in remoter areas and along the coast. Discs never emerald green on a thick crust. Simms, M. J., (2016). 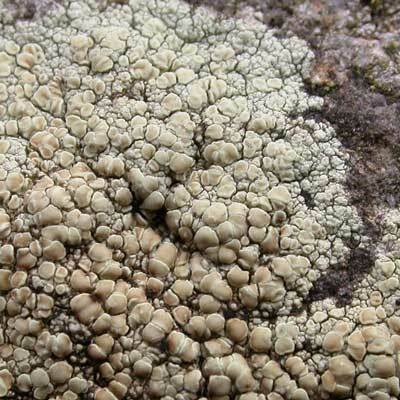 Lecanora polytropa (Hoffm.) 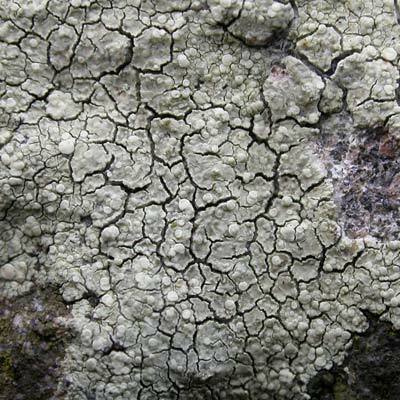 Rabenh.. [In] LichenIreland.